You and I are in this together and I am not going anywhere. Families and caregivers of persons living with Frontotemporal Dementia often feel left out by the Alzheimer's community. 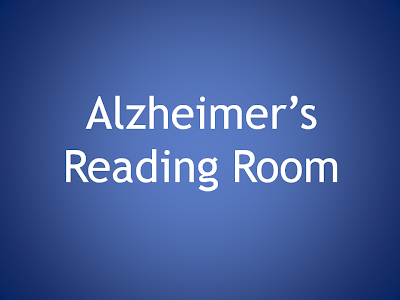 That is not the case here in the Alzheimer's Reading Room. I picked the brand name long before I understood the different types of dementia. Everyone is included here. Frontotemporal Dementia is a rare and very aggressive form of dementia. There is no cure. The video below about Michael and Ruth French is intense and moving. "Although not definitive, this human biomarker study gives some credibility to the notion that anesthesia and surgery produce an inflammatory insult on the brain and accelerate chronic neurodegenerative diseases like Alzheimer's." It is clear that people are looking for clear, concise information on Generic Aricept. We had more than 10,000 visitors coming in from search engines like Google looking for information in the last thirty days. 100 Million Americans have been touched by Alzheimer's Disease, 35 million are worried about Alzheimer's Disease. 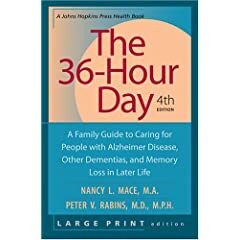 I soon realized that Alzheimer's caregivers are often thrust into their role with little or no experience, training, or education about Alzheimer's disease. As a result, they are often overwhelmed and suffer from feelings of helplessness.